The fourth annual Negroni Week, which puts a spotlight on my favorite cocktail, takes place on Monday, June 5th through Sunday, June 12th. Presented by Campari and Imbibe Magazine, its aim is to encourage participating venues to donate a portion of their proceeds to charity. In its inaugural year of 2013, over 100 venues participated. This has grown to over 6,000 venues around the globe as of 2016. 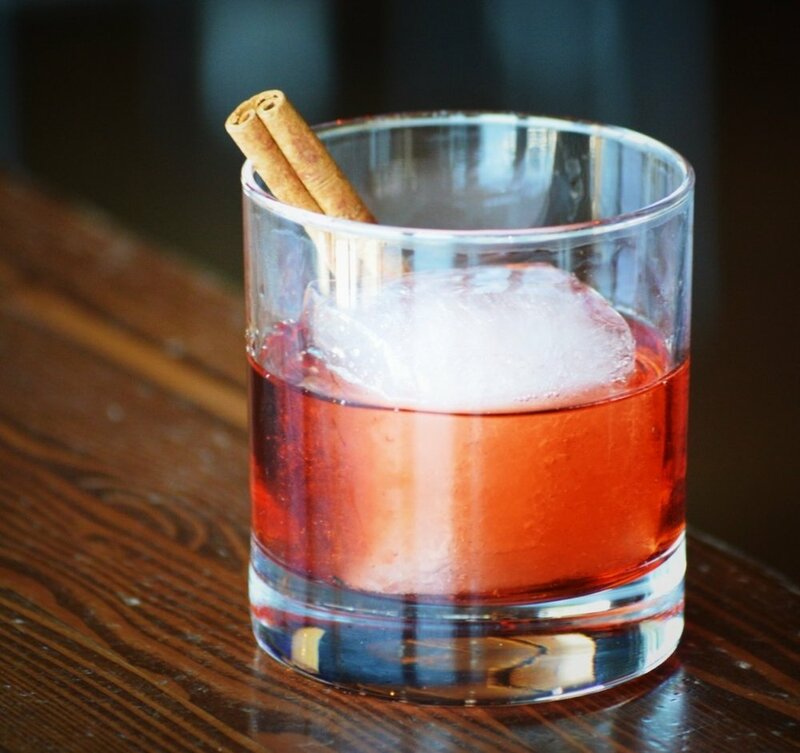 A traditional Italian aperitivo, the Negroni has long been one of my favorite cocktails. Its distinctive ingredient is Campari, a bitter liqueur made with a closely-guarded formula since 1860. This elixir of alcohol infused with fruit and herbs also gives the Negroni its beautiful garnet-red color. The most popular story of this cocktail’s origin dates to the early 1900s and involves a Count Camillo Negroni. Lore has it that the Count, a regular at Caffè Cassoni in Florence, Italy, asked bartender Fosco Scarcelli to bolster his Americano (Campari, sweet vermouth and soda) with gin instead of soda. With three simple ingredients, a new libation was born. The classic proportions are equal parts gin, sweet vermouth, and Campari. Garnishing with an orange slice or twist underlines the bitter orange component of Campari. A refreshing Negroni, served over ice or straight up, is my pre-dinner drink of choice, a perfect aperitivo or “palate opener” before a splendid Italian feast, or any time. You can find a full list of participating venues on the official site, but I've listed a few of my favorite spots here. Crudo is where modern Italian meets progressive mixology. This award-winning collaboration between chef Cullen Campbell and mixologist Micah Olson pairs modern takes on traditional Italian favorites with craft cocktails served at the adjoining Bar Crudo. Their chosen charity is No Kid Hungry. crudoaz.com is located at 3603 E Indian School Rd, Phoenix, AZ 85018. Muddle half a guava and half a peeled passion fruit. Add ice, stir and strain over ice. 1) Combine all ingredients in beaker. 2) Add ice to beaker. 3) Stir for 15-20 seconds or until cocktail is thoroughly chilled. 4) Strain into chilled glass.